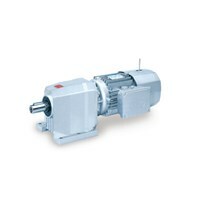 The Bonfiglioli C Series of in-line helical gearmotors offers top torque density, product variety, extremely wide speed choice and a compact design. ECD offers a comprehensive range of automation, control and mechatronics products. Call ECD today, for more information on Bonfiglioli C Series gearmotors and all your gearmotor needs.